A celebrity wedding is no different from any other wedding, the couple have the same dreams and hopes for their special day and the beautiful personalised touches of this wedding made it a visually enchanting day. 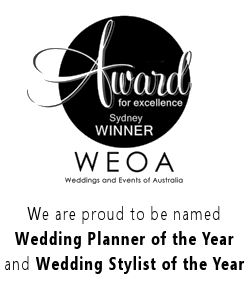 As Kathleen and Daniel’s wedding coordinators, we worked closely with them to make every detail of their dream a reality. 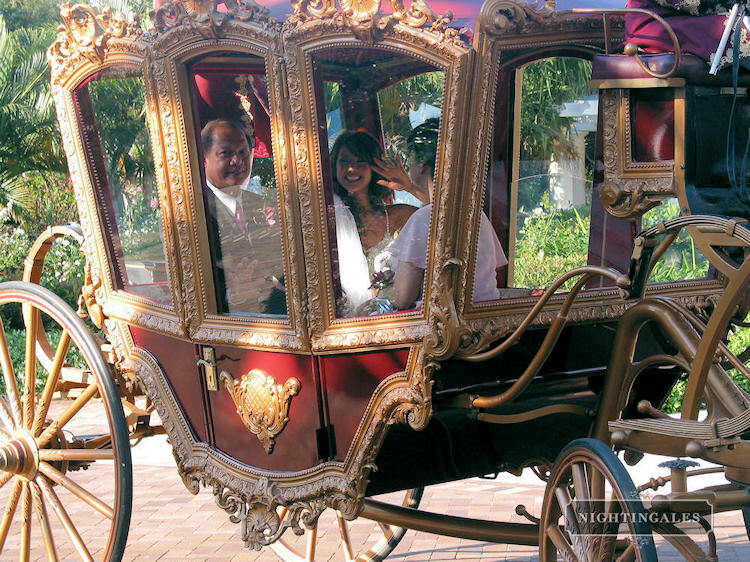 Kathleen arrived in a romantic Elizabethan Coach pulled by 2 gleaming white horses, it was always a dream for her to arrive at her wedding in a horse and carriage. The Groom’s party arrived in exciting style – by helicopter!! 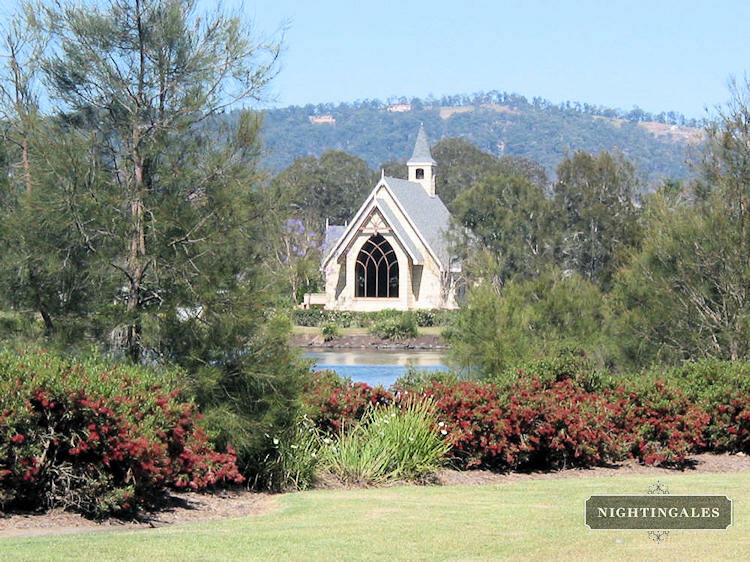 – landing in the parklands adjacent to the beautiful Avica chapel. After the ceremony, guests strolled through the beautiful manicured gardens of the resort arriving at the silk lined marquee on the banks of a shimmering lake. 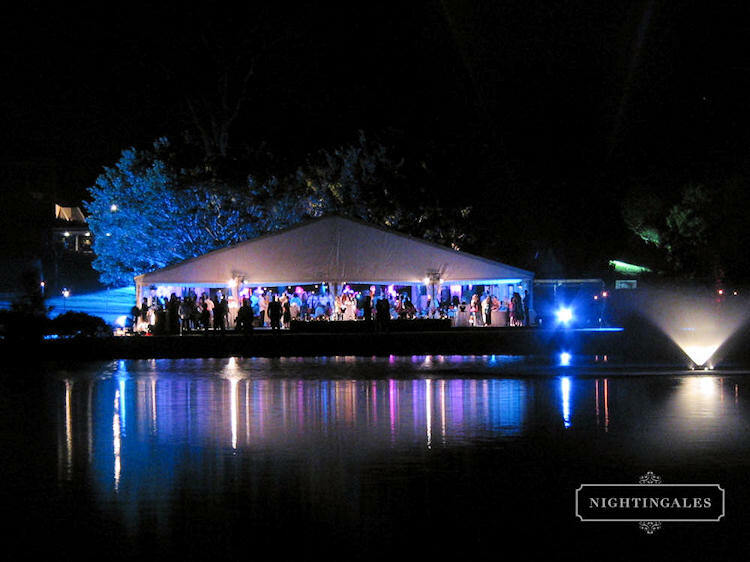 The marquee was lit romantically in soft pinks and twilight blues and as the night darkened these ambient colours were mirrored on the lake. A fireworks spectacular featured during cake cutting and the band had all dancing till the very end.